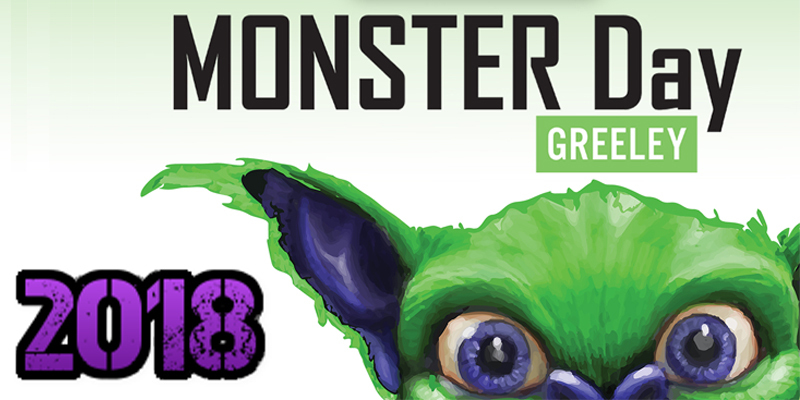 The second annual Monster Day Greeley is almost here! 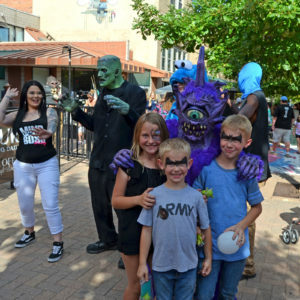 The monstrous festivities will happen from 4 p. to 9 p.m. in Downtown Greeley on August 18, 2018. This year will be bigger, better, and have even more photo ops than last year! Check inside your closet, check under your bed, no check the downtown plazas and Lincoln Park because the Monster Day is back! 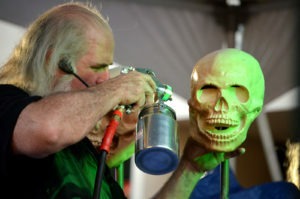 Monster day Greeley is a fun-filled event dedicated to celebrating all things monster! Come spend an evening with Greeley the Gremlin and enjoy music, entertainment, face painting, a costume contest, demonstrations, and food. Plus, dozens of monstrous photo-ops with characters created by Distortions Unlimited. Don’t be spooked by the name though, Monster Day is truly an event where everyone can have fun! 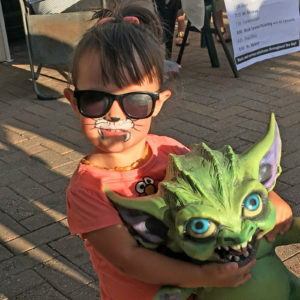 Last year was the inaugural year of Monster Day Greeley and over 6,000 people joined the fun, but even more are expected this year for the event that won the the 2018 Governor’s Award for Downtown Excellence for Best Event, Festival, or Recurring Activity. 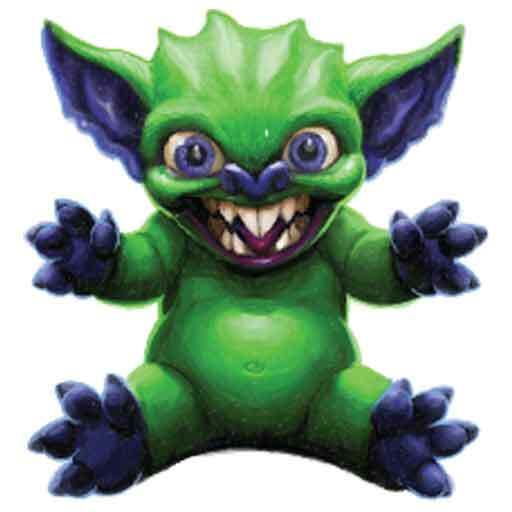 Plus this year, Monster Day has expanded into the Southeast corner of Lincoln Park to include a new paid attractions area including a Distortions Monster World, the Scream Generator, Monster Fishing, a Monster Train, and the Man-Eating Chicken! And remember that this day is not just about having monstrous fun, proceeds go to the wonderful anti-bullying nonprofit organization “Don’t Be A Monster ”, which has reached over 320,000 students with their anti-bullying messages. 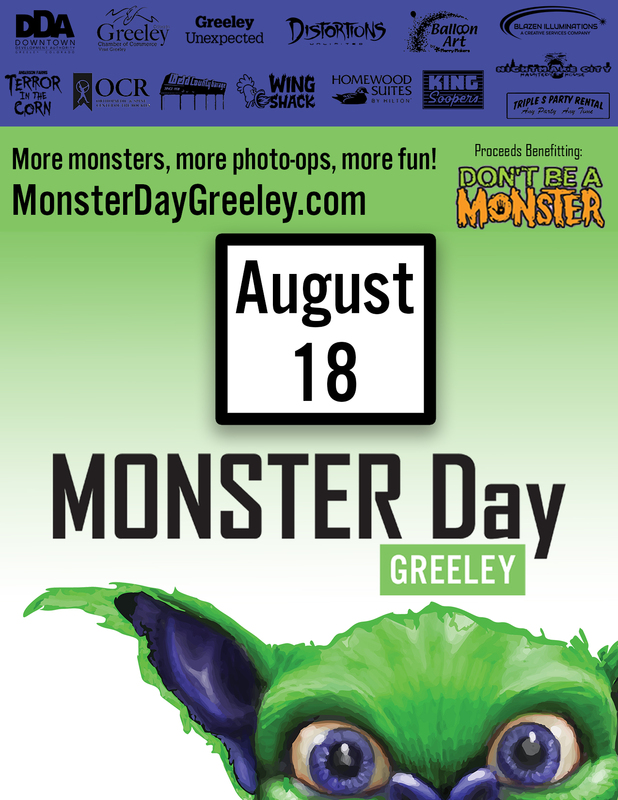 Grab your camera, grab your friends, and get to Monster Day Greeley in Downtown Greeley on August 18, 2018. There is no other day like Monster Day! Monster Day Greeley would not happen without our generous sponsors!